It was in Arizona, sometime in the late seventies and the popularized food frenzy was all about ‘health food’. Spooned up in tablespoons daily was unfiltered apple cider vinegar chased with a shot of pure clover honey. Grape Nuts cereal lined bowls with small amounts of cold milk, and a broader range of vegetables nearby the locale of the state university became available through a newly formed ‘cooperative.’ Among some college agribusiness majors was the goal of affording, provided a stable location upon graduation, a full year’s subscription to the Rodale magazine, which was incidentally published in Pennsylvania. Out went the shredded beef chimichangas topped with sour cream and guacamole, well, except for the craved monthly patronage between friends, along with some pitcher size Margaritas at the popular Willie and Guillermos Mexican restaurant. Out went the Patty Melts, out went homemade fried tortilla chips at the Top Shelf too, but never, ever, would it be considered to cut out the Lunt Avenue Marble Clubs’ famed fried zucchini with dip, ranch style that is, and after all, fried or not, this elongated green vegetable was healthy. Besides what else could be eaten while listening to the replica tunes of Fleetwood Mac whose band singer sounded like Stevie Nicks herself? Likely the inspiration of combining freshly grown healthy produce between uncommon ingredients arrived via neighboring California, even before Alice Waters became a known household name. Whichever way, shortly before the apple cider vinegar, honey, and Grape nuts, one introductory with unique foodstuffs arrived in the form of small ‘health food restaurants’ emerging nestled into small shopping strips. How well these restaurants fared or how long they lasted I cannot recall but certainly they were a first introductory to eating prepared combinations that at the time were considered new flavor features such as creatively composed salads or stuffed grain bread sandwiches not commonly found lining the menus among the more popular restaurants of the time. 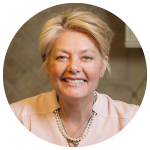 My friend Debby identified the first local restaurant dishing up these new health foods, partly that may have been because of her open mind in trying new things, and the other part that it was located right next door to the Baskin Robbins ice cream shop. Nevertheless, it was the avocado and alfalfa sprout sandwich that caught our attention and became a quick favorite. 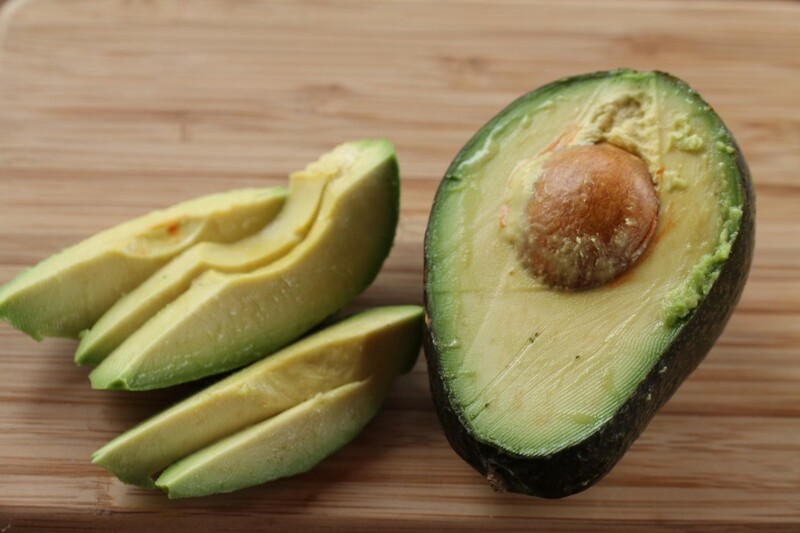 Interestingly, arriving to the Philadelphia area in the early eighties, merely finding an avocado meant going to a gourmet market, paying a premium price, and then waiting for days to achieve full ripeness. 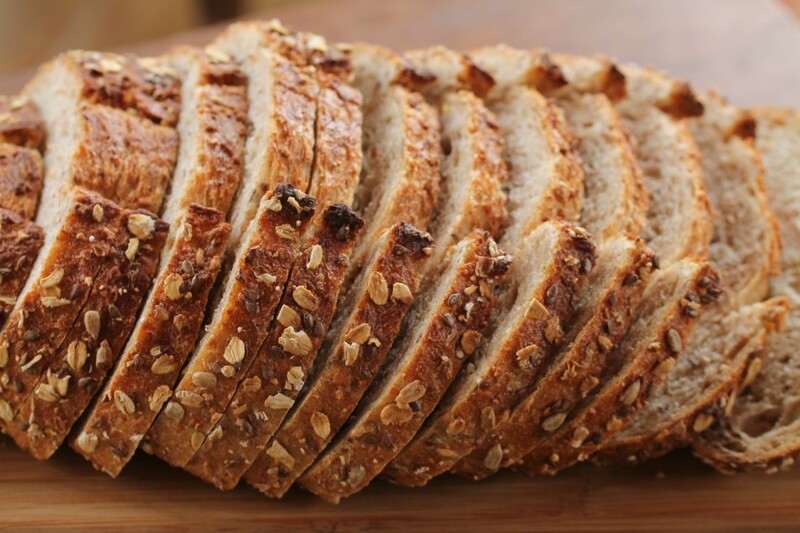 The commonly great breads readily available came in the form of hoagie and kaiser rolls, and fresh Jewish Rye, throughout the east coast pocket, few knew there was much else to be had, certainly not grain breads. A couple of prized premium priced avocados also meant no consideration to preparing anything other than homemade guacamole. Its been some time now that the once conceived ‘health foods’ of the time have now transitioned to commonly fresh ingredients obtained at any local grocer and fortunately today there is the luxury of preparing from among these first introductory of healthy, uniquely combined sandwiches, Avocado and Alfalfa Sprouts on Seven Grain Bread. 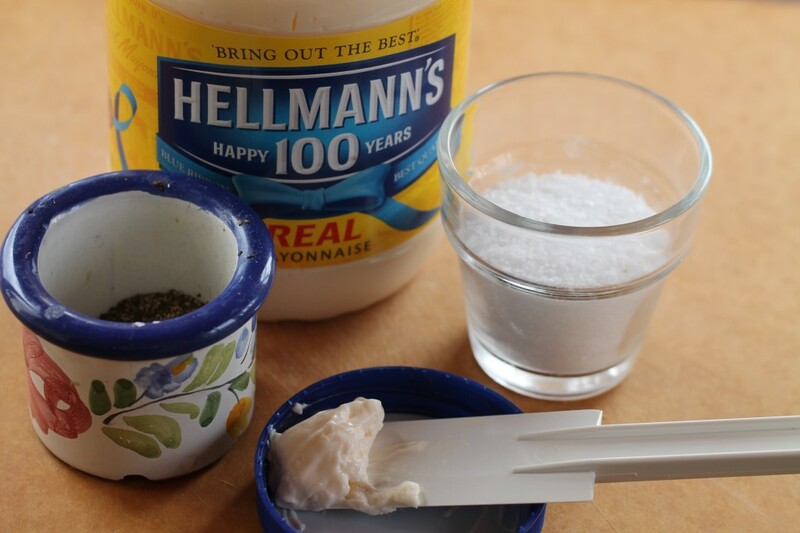 Generously spread mayonnaise on the inside top and bottom slices of bread. 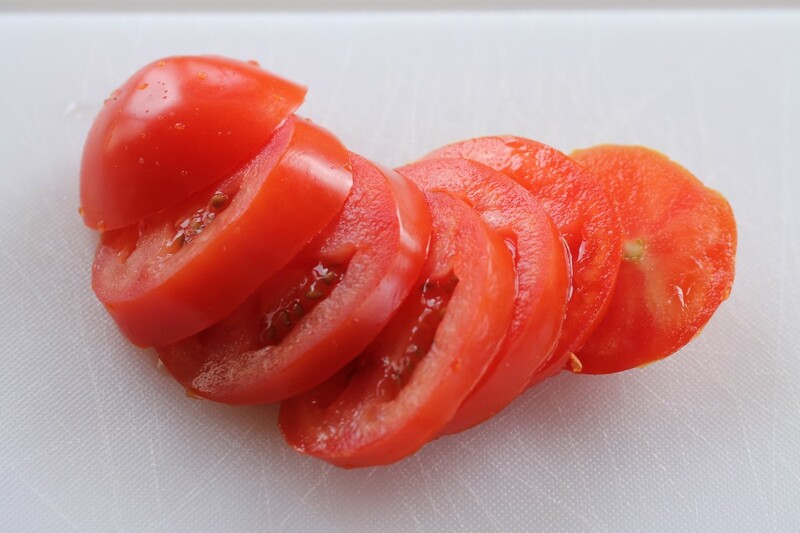 Sprinkle inside top slice with salt and pepper. 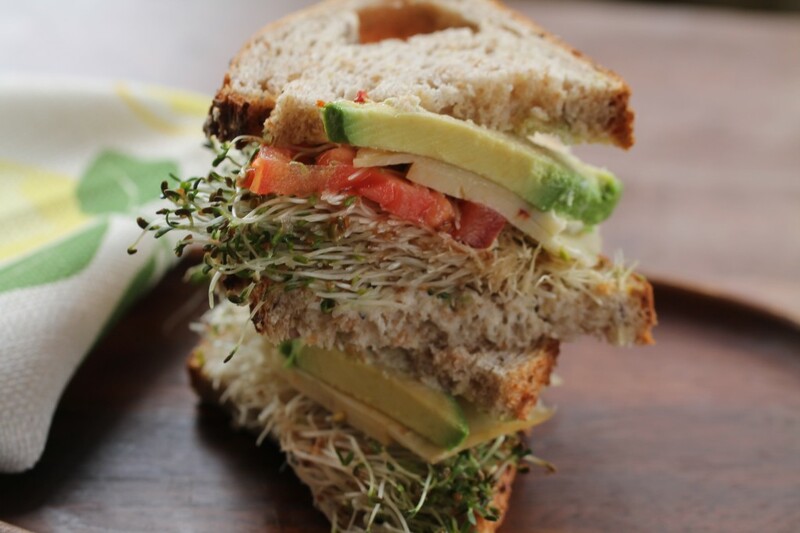 Divide avocado onto the bottom half of both sandwiches, layer over tomato, cheese, alfalfa sprouts, finish with seasoned bread slices. 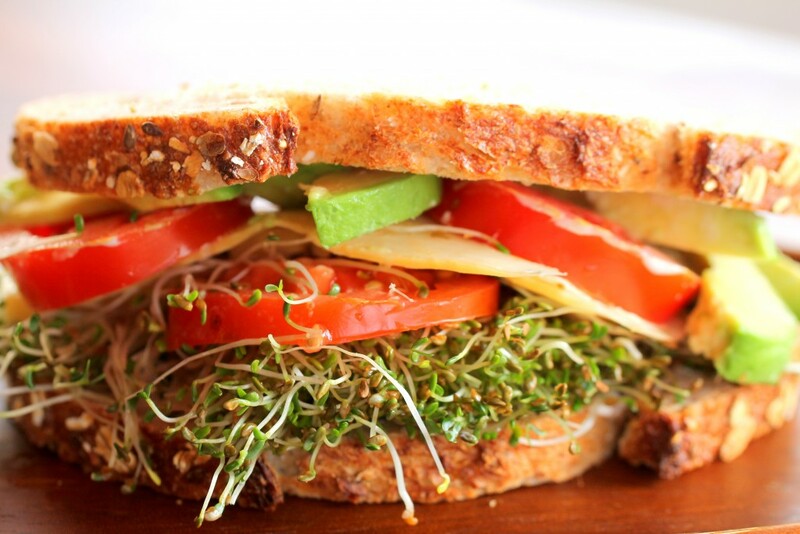 This entry was posted in Sandwiches and tagged Avocado and Alfalfa Sprouts, Avocado and Alfalfa Sprouts on Seven Grain Bread. Bookmark the permalink. Post a comment or leave a trackback: Trackback URL. 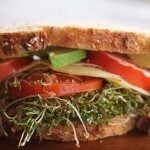 My mother used to make us alfalfa sprout sandwiches with cucumber on wheat bread. I used to love them! This sounds delicious. I love creamy avocado. This is a must make! Thanks so much Jessica. 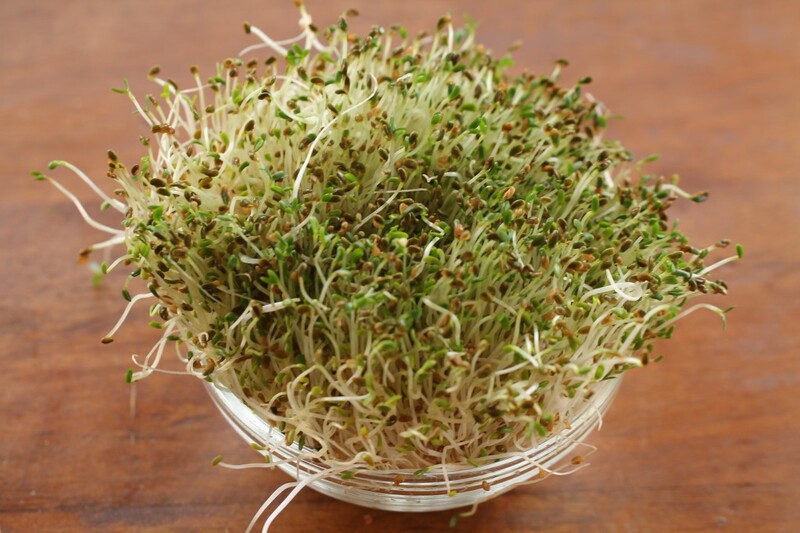 The cucumber alfalfa sprout combination sounds lovely as well. A simple sandwich but quite good, especially with the creaminess of the avocado. Thanks for joining in and see you on livinglavidaholokablogspot.com – some neat DIY’s too! This looks delicious! My lunch staple these days involves avocado and hummus on a whole wheat wrap. I can’t get enough. Butter pears, I think they’re also called, and for good reason. Avocados make anything seem more decadent. Thanks Kelly, your lunch wrap with the avocado and hummus sounds interesting. Agreed, avocados do have a way of making foods seem decadent. See you on A Lovely Life Indeed, and this weeks inspiration. Thanks so much for joining in. I’m always looking for new healthy ideas for lunch and this looks very appetizing and delicious, definitely going to give it a try. Thanks Sooky, definitely a colorful, pretty sandwich and the flavors blend really well, enjoy. Thanks so much for joining in. Chelsea recently posted…Fashion Week: Meet Toni of The Love Hanger! Hello Chelsea, thanks so much and I hope you enjoy this healthy sandwich, I have found that finding a really good bread too really brings the sandwich together well. This loaf I got at Wegmans and I’ve found it to be quite excellent. I’ve been enjoying your Fashion Week on Chelsea and the City, great job! Thanks so much for joining in! Hey Peg- boy do I have a ‘hankerin’ for one of these yummy sandwiches!! Haven’t had one is quite a while- thanks for reminding me how amazing they are- and good for us too- right?? I also mash avacado and spread on whole grain toast instead of butter or peanut butter for breakfast. Top off w/ a light sprinkling of salt & pepper- YUM! My granny loved toast this way, too. Hey Deb, I’ve just returned home from a play in town this evening and was so thrilled to see your comment! You see how many great stories I have through our friendship, and geez, I’ve not even scratched the surface, I only need to transition those fabulous Arizona lakes, camping, hiking, tubing- and then some grilling, chips and some other into the mix, its all so rich! And we cannot forget the night with coyotes at Lake Mead, as well as almost getting a ticket for lack of fishing license in Nevada! How blessed and lucky I was to meet such an accomplished adventurer! I remember about Granny too. The mashed avocado sounds great rather than the sliced, though I went with the closest I could recall to the restaurant original. Thanks so much, we should get a Arizona style Mexican recipe together soon! Love You my friend, thanks for the memories and for joining in! This sandwich looks amazing. I often have avocado with mayo in wheat bread for breakfast. It keeps me going for hours and is so delicious. 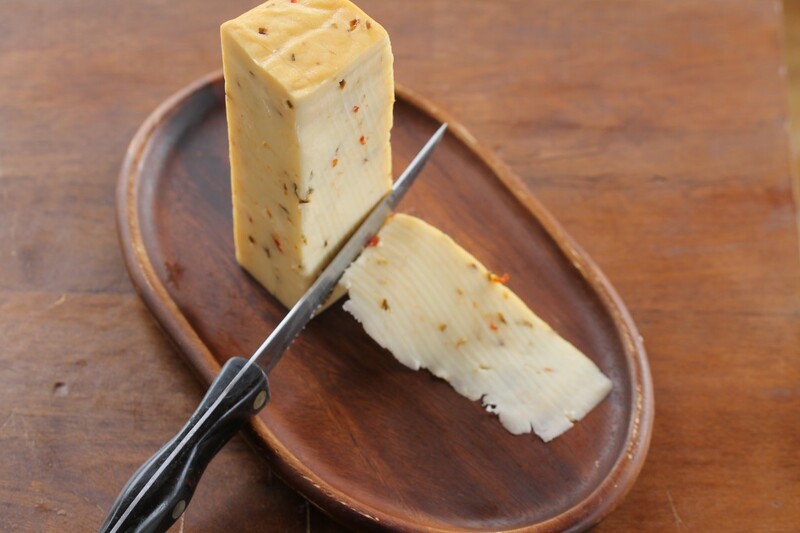 This is a great way to ramp up those flavors for lunch. Never thought of adding the sprouts. Thanks for the tip! Hi Jenny, thanks so much. I feel the same as you that avocados are really delicious, this combination is a great way to ramp up a different twist for lunch, the sprouts are good, a whole unique combined flavor. Thanks so much for joining in.